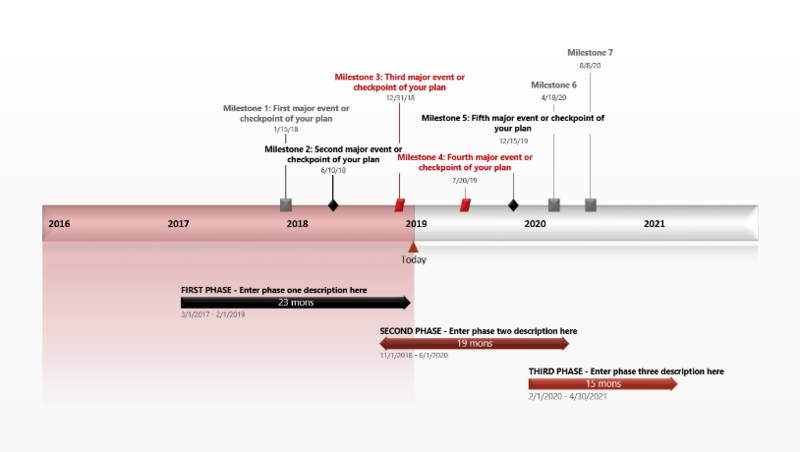 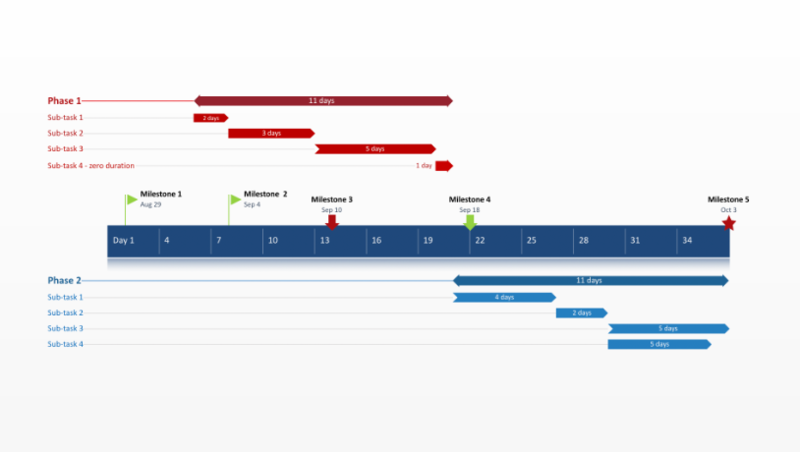 The Gantt chart template collection was designed for sophisticated professionals who want to distinguish their work with rich, visual project communications. 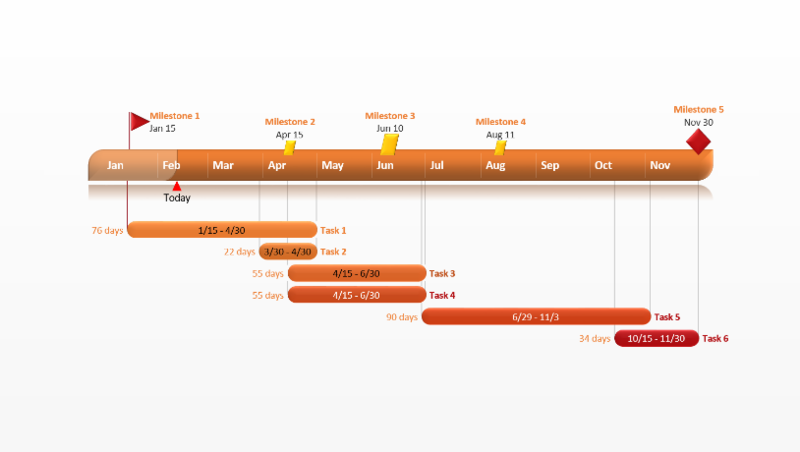 Each template was carefully created to be graphical, impressive and simple for clients and executives to understand. 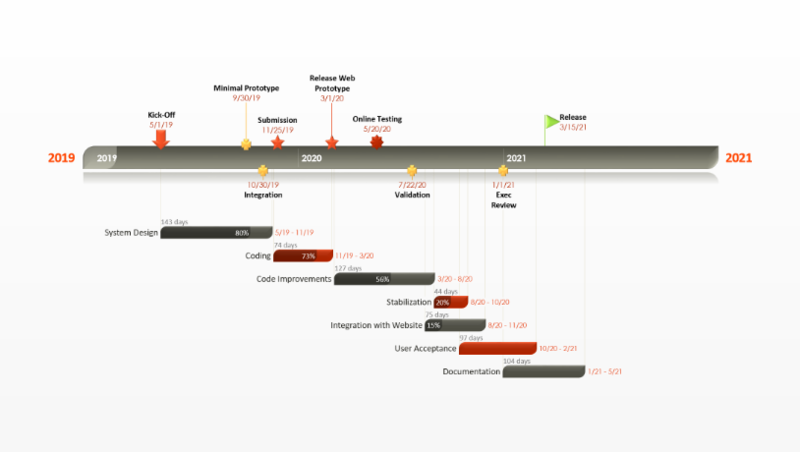 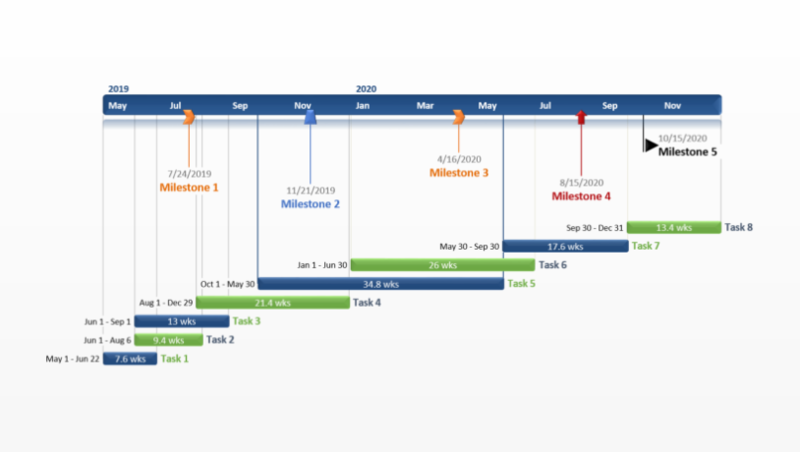 They are easily customizable with the Gantt chart software from Office Timeline. 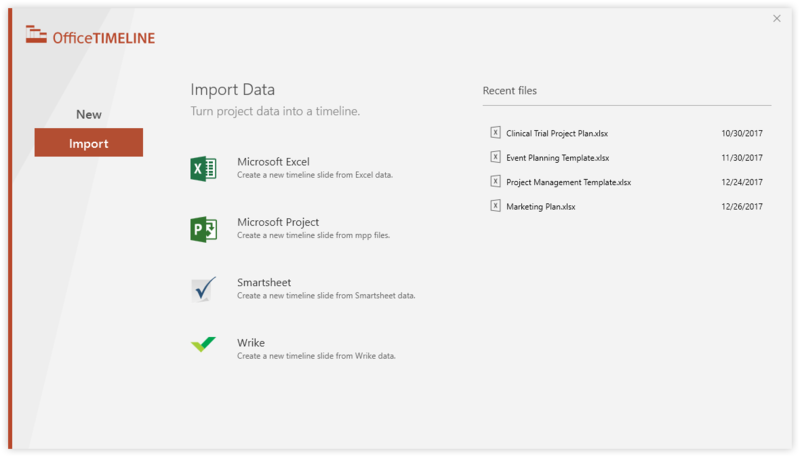 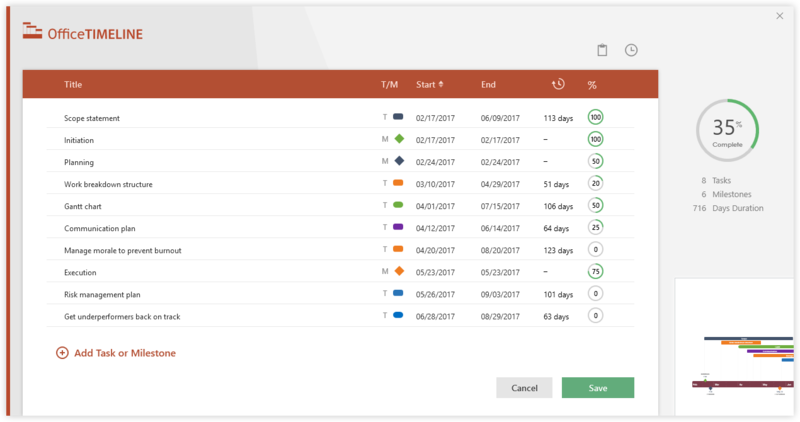 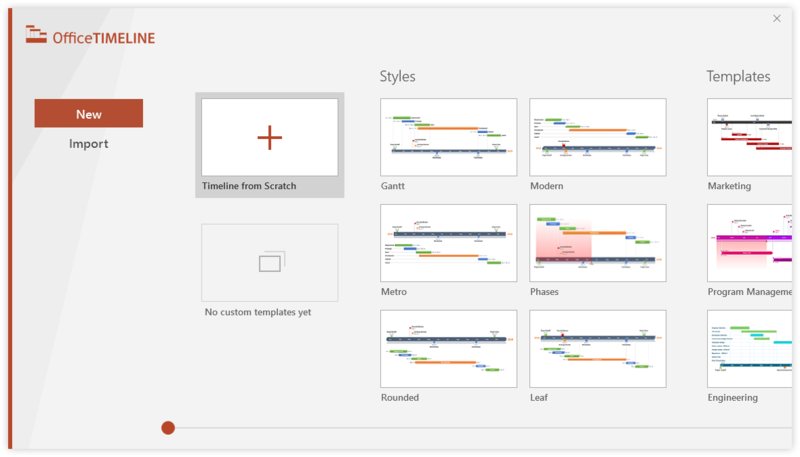 It plugs right into PowerPoint and makes it simple to instantly update any Gantt chart template with your own project information, or to edit colors, fonts, shapes and the design of the chart. 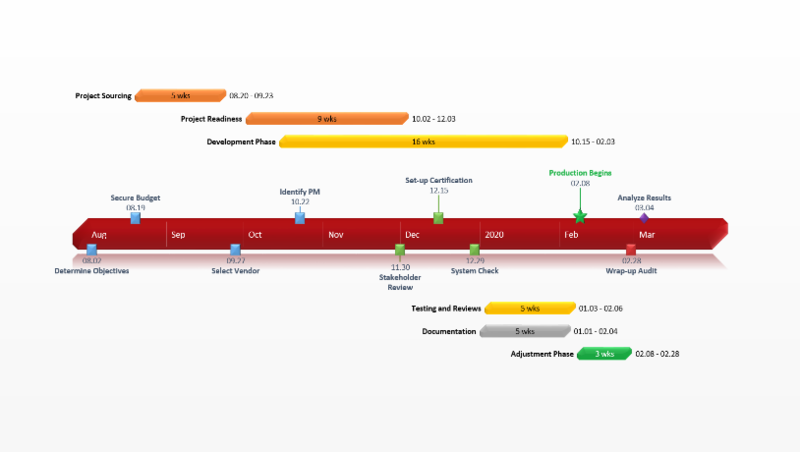 with the free Gantt chart tool from Office Timeline. 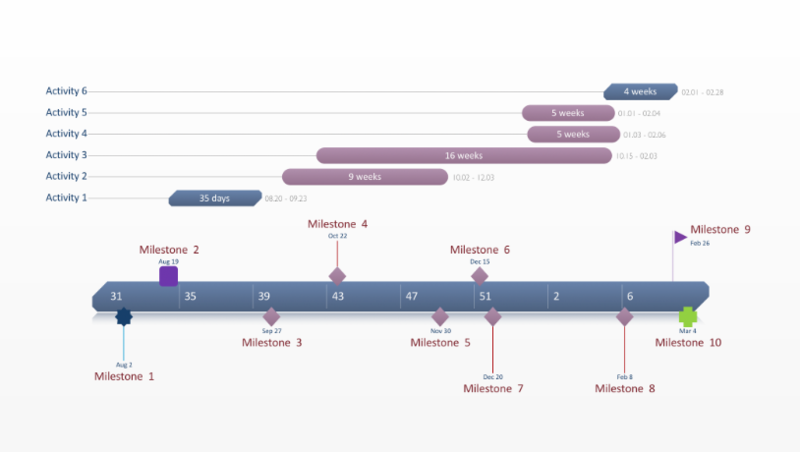 Free, award winning Gantt chart maker for PowerPoint. 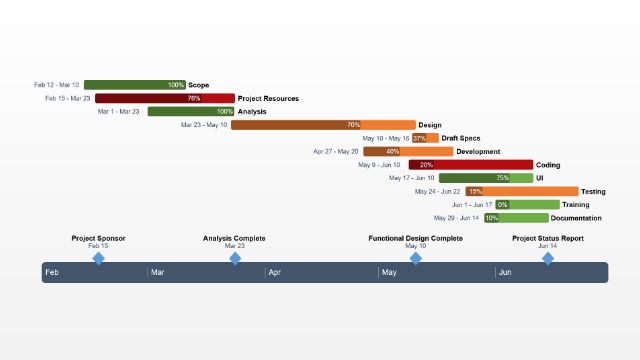 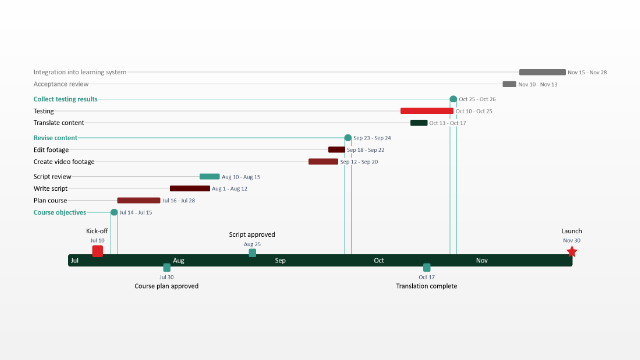 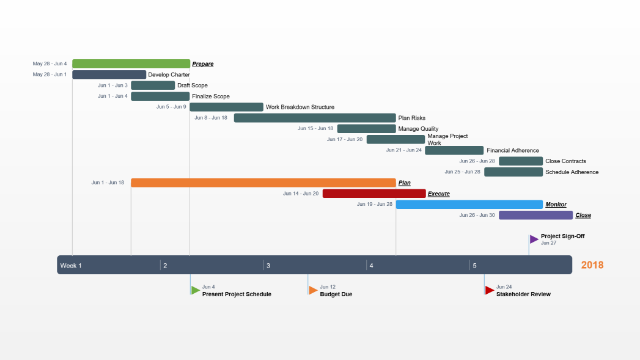 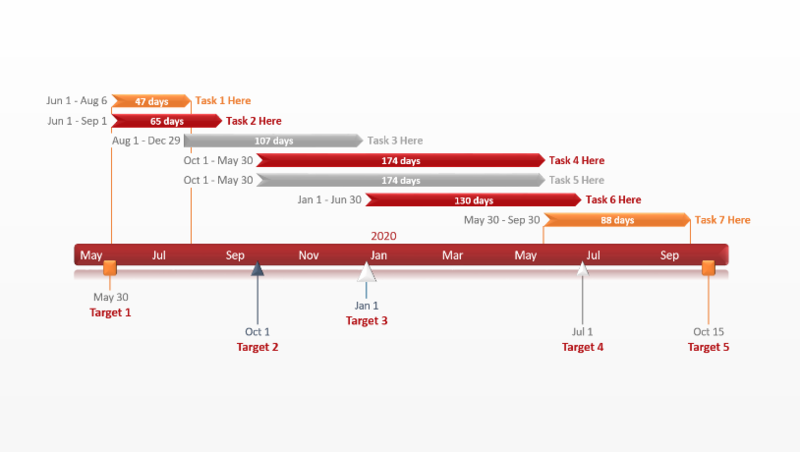 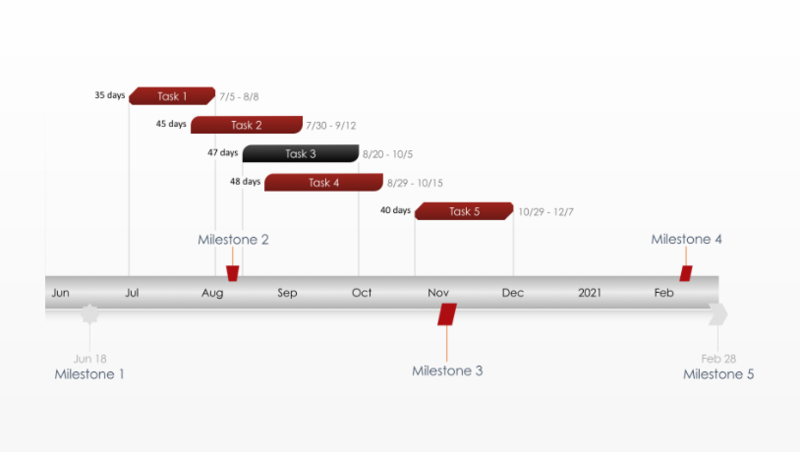 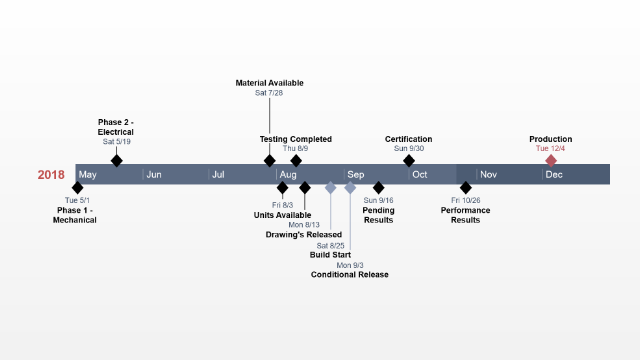 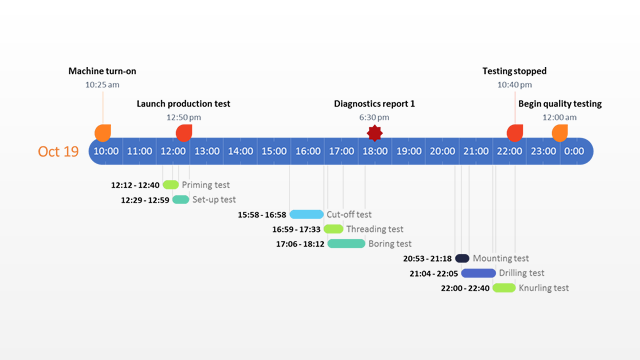 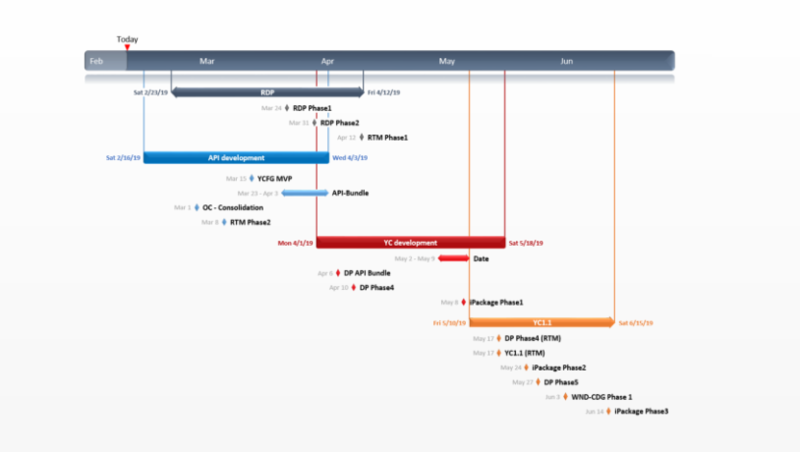 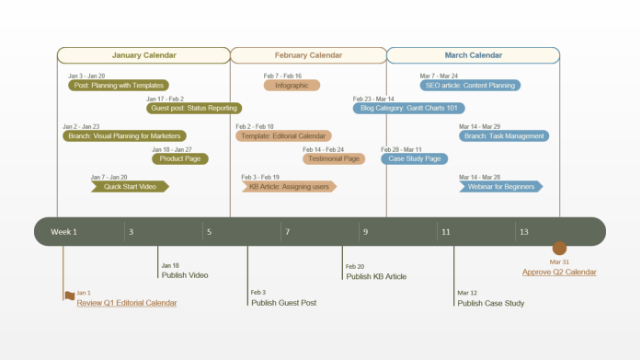 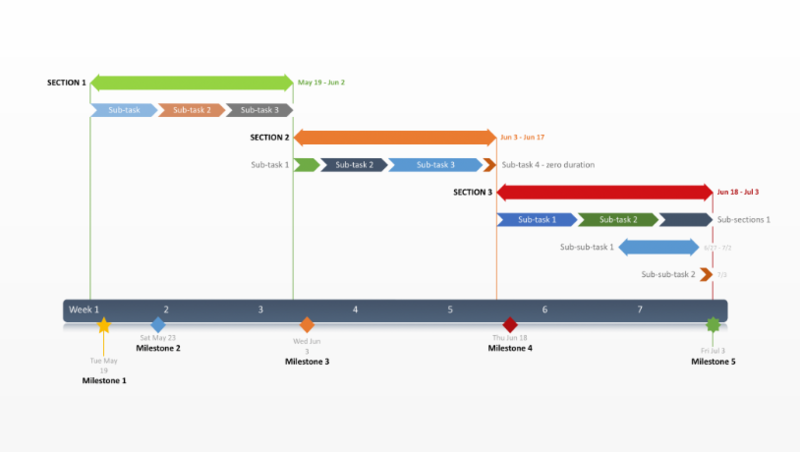 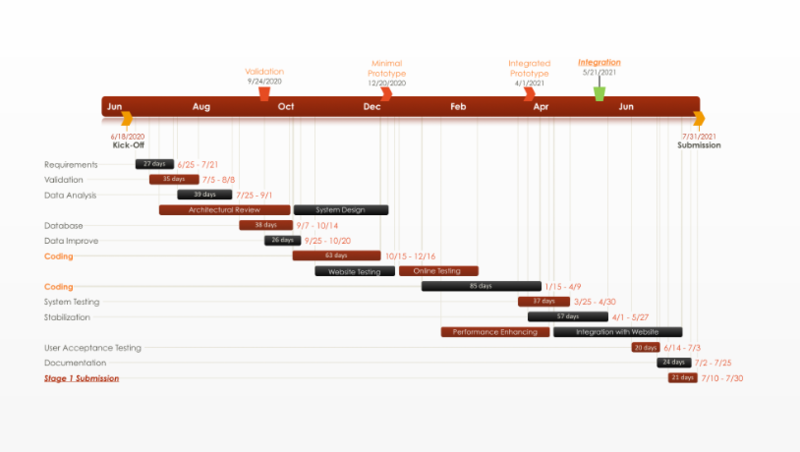 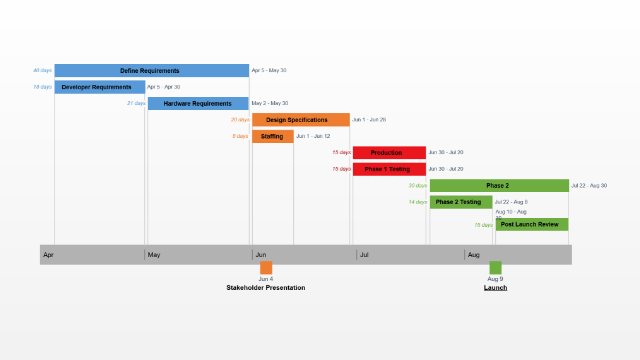 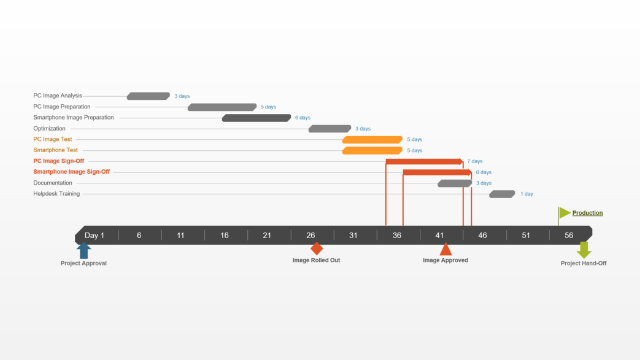 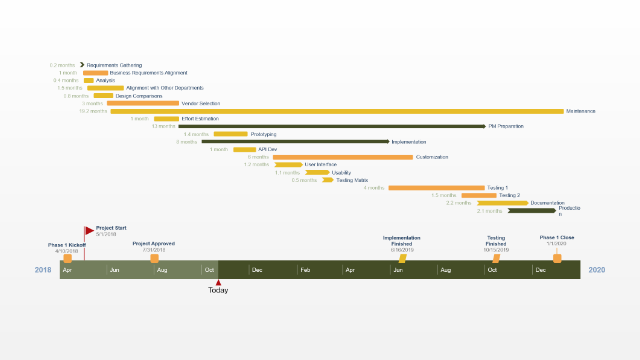 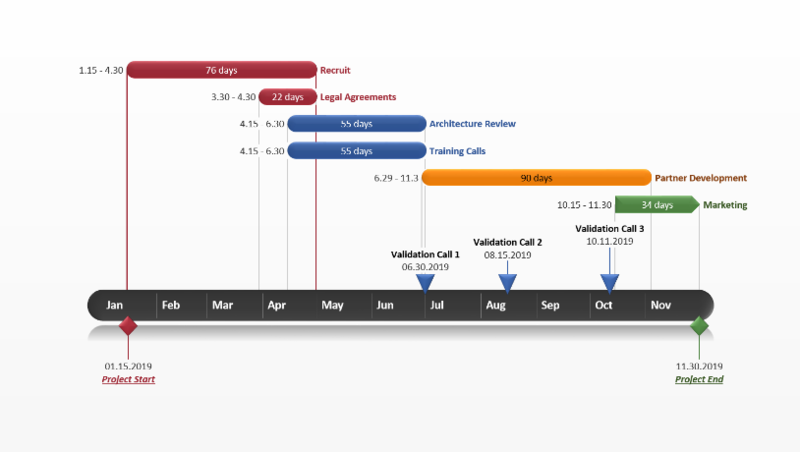 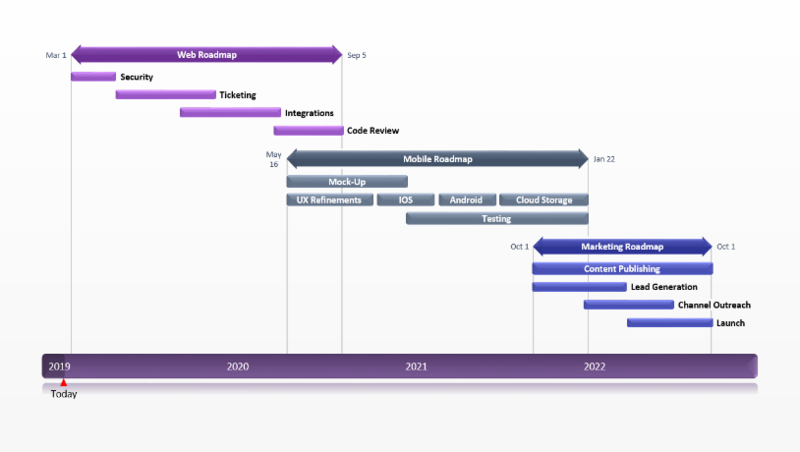 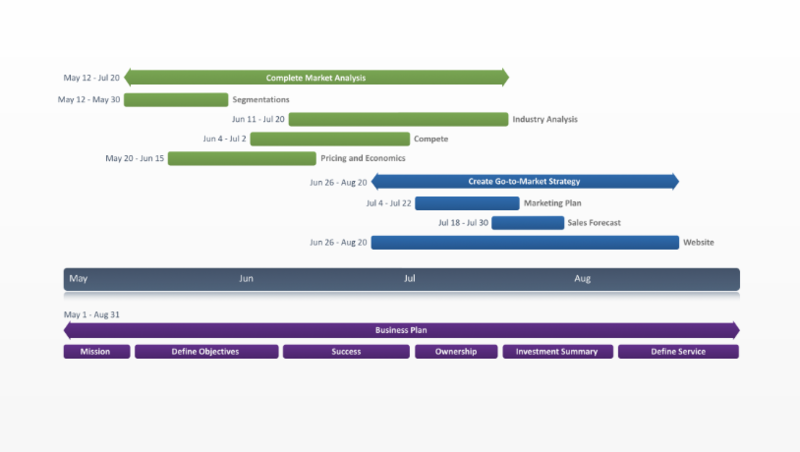 Download this free Gantt chart template and easily update it for your important project reviews.